There are 204 municipalities in New Jersey that were at least 90 percent “built-out” as of 2002 (in terms of the amount of developable land remaining). Together, they accounted for 33 percent of all residential building permits issued in the state between 2000 and 2009 — a significant increase over these same municipalities’ 15 percent share in the 1990s. This same group of mostly “built-out” municipalities issued more than twice as many building permits per year in 1998 and 1999 than they had averaged earlier in the decade. The spike coincided with the Department of Community Affairs’ adoption of a new Rehabilitation Subcode, which made renovating older buildings cheaper and easier. The eight “urban centers” designated by the State Development and Redevelopment Plan (Newark, Jersey City, Paterson, Elizabeth, Trenton, Camden, New Brunswick and Atlantic City) together issued nearly four times as many building permits in the 2000s as they had in the 1990s. A new report [pdf] from New Jersey Future, analyzing the geographic distribution of residential building permits issued over the past two decades, reveals some remarkable results that indicate redevelopment becoming more and more popular in New Jersey. The state’s major cities saw an elevated level of building permit activity in the last decade. In the 1990s, the eight State Plan “urban centers” accounted for only 3.9 percent of total building permits issued statewide, but in the 2000s, their share of the state total tripled, to 11.8 percent. These eight cities epitomize the concept of “build-out,” having long ago built on any piece of land that could be built upon. Yet they are growing once again. The “built-out” building-permit boom was not confined to big cities, however. 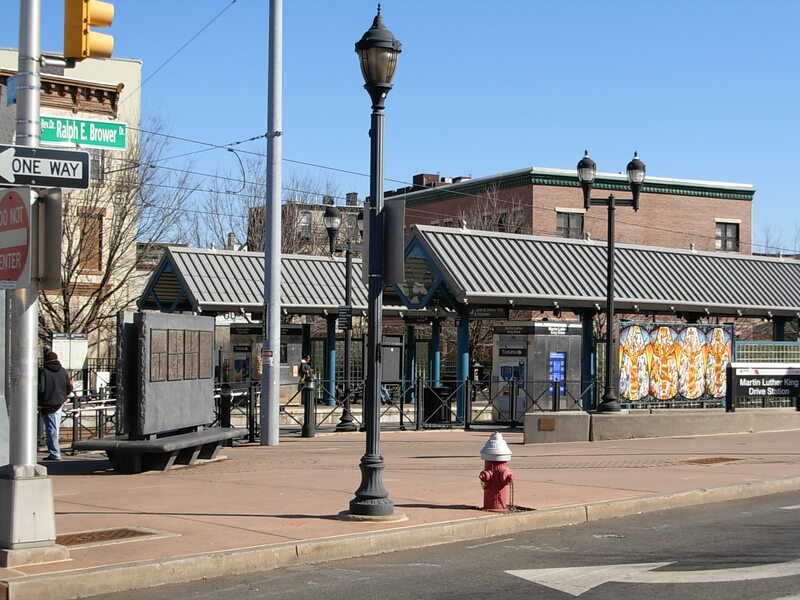 A total of 204 New Jersey cities and towns make the list of municipalities that were already at least 90 percent built-out at the beginning of the decade, including Ridgewood, Millburn, Summit, Chatham Borough, Princeton Borough, Haddonfield and Stone Harbor. (For a complete list of these municipalities, as well as the number of building permits each municipality issued in the 1990s and 2000s, please click here [pdf].) Building permit activity in the 2000s was greater than that in the 1990s in 161 of these 204 municipalities, or 79 percent. As a group, they boasted a 170 percent increase in building permits issued in the 2000s as compared to the 1990s. In striking contrast, the rest of the state (that is, excluding the 204 built-out municipalities) actually issued fewer residential building permits in the 2000s than in the 1990s — only 95 percent as many. In other words, the entirety of the statewide increase in building permit activity in the 2000s over the 1990s level was attributable to the sharp increase in permits in places that, on paper at least, had little to no developable land remaining. How did this happen? The report describes several forces at work. Most significant was the adoption of the Rehabilitation Subcode in 1998, a revision to the state’s building code that made it easier to renovate existing buildings. The data reflect a spike of activity in “built-out” municipalities immediately after the subcode was adopted. The obvious implication is that if you make redevelopment easier, you get more redevelopment. 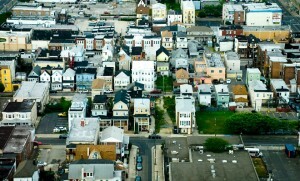 Also, a number of longer-term demographic and cultural shifts — including shrinking household size, retiring Baby Boomers in search of cultural amenities and increasing awareness of the greenhouse-gas effects of a car-dependent lifestyle — are generating new demand for housing in more traditional, compact neighborhoods. 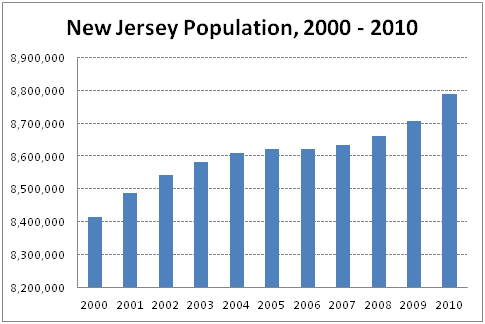 Demographics alone are not going to solve New Jersey’s sprawl problem, however. 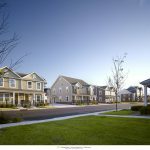 While New Jersey is already the most developed state in the nation and is on course to be the first of the 50 states to reach full build-out, it nonetheless converted an annual average of more than 16,000 acres of additional open space to urbanized uses between 2002 and 2007, a 7 percent increase over the rate between 1995 and 2002. In other words, the increased rate of redevelopment has not tempered the rate of “greenfield” development. 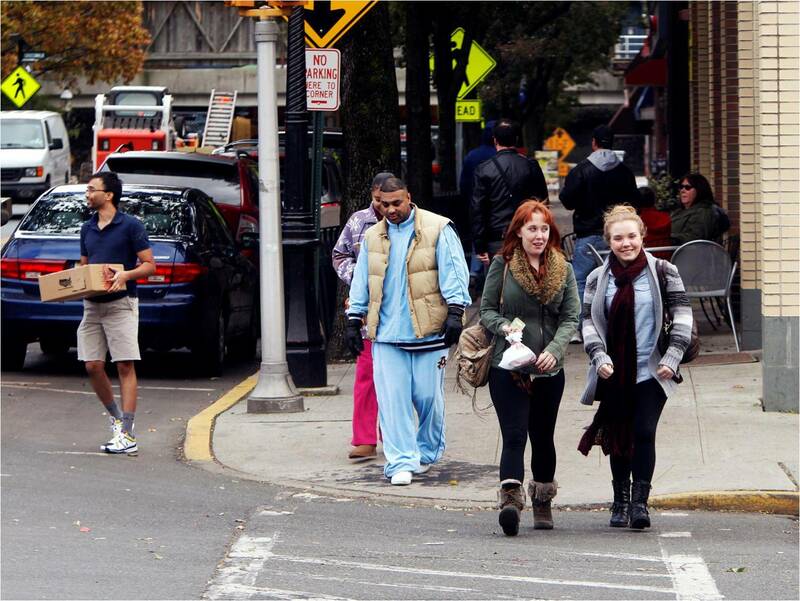 At some point, most new development in New Jersey is necessarily going to be redevelopment. We should thus be looking for new ways to make redevelopment easier, which will also have the effect of helping to channel development away from our remaining open lands. The dramatic reaction to the Rehabilitation Subcode suggests that we should be examining other state agency regulations and incentives that affect where and how development happens, to see if there might be other barriers to redevelopment that could be dismantled. Princeton Borough: We heard for several years by now that Princeton Borough is “built out”. The fact, however, is that smaller old houses are torn down and replaced by McMansions. Large properties are subdivided and more houses (and even apartment buildings!) built. There is no end in sight for building in the Princeton Borough.